Almost daily, we receive calls from pet owners throughout the Kansas City area, who have heard about this concept called "mobile grooming". However, for various reasons, they cannot seem to find an available mobile unit in their area. It is our hope that the listings provided below will help. Please keep in mind that we can not vouch for the professionalism nor the availability of any of the companies listed. The listings here should in no way be considered an endorsement or referral of any sort. Canine Design is a mobile dog grooming facility and pet products provider based in the Kansas City Northland, currently serving Clay and Platte Counties by standing appointment only. Kathy's Klippery is a full service mobile holistic pet stylist based in Platte County, serving the Kansas City Northland and Platte City. serving Liberty and the Kansas City Northland. 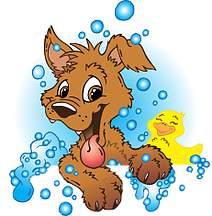 Kellys Mobile Pet Grooming is a full service mobile pet grooming facility, serving Lees Summit, Blue Springs, and Independence. Messie Jessie's is a mobile grooming facility serving Northern Cass County, Southern Jackson County Missouri, Leawood, and Eastern Overland Park. AJ's Zoom N' Groom is a fully equipped, self contained mobile grooming facility serving Kansas City East, Blue Springs, and Grain Valley. 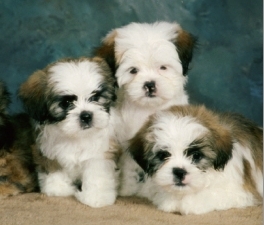 Jo Co Barking Club offers pet sitting, dog walking, mobile pet grooming, in Kansas City, Overland Park, Olathe, Leawood, Lenexa, Shawnee, Stanley, Lees Summit and the surrounding areas! or just to say "Hi", please call or e-mail us. We can be reached 7 days a week.